Below you can find some testimonials as made by some of our customers. You can read more and interact with other customers by visiting our Forums . Quick set-up, great prices, great uptime, and great support. Keep up the great work! I signed up for an account on 2/1/06 and it was very painless. Everything was created automatically and all I had to do was upload my files and point my DNS settings to their server. So far everything is working great! I am very happy I choosed scarabweb for hosting my site. I am a newbie and had no idea from where to start hosting my forum. But I got superb and quick support from Scarabweb. In future I am planning to host a few more sites with Scarabweb. They are cheap and very reliable so far. Well what can I say - I've ran a board for years now and have been with quite a few hosts but always had one problem or another until I moved to ScarabWeb and any problems I run into I get instant help with which is a bonus these days especially as I'm on a dedicated server. Knowing someone is out there to respond back to emails is a god send and you don't wait days for a reply either. Would recommend ScarabWeb to anyone who is interested in hosting as I've tried the rest, now I reckon I've got the best. I found ScarabWeb when I was very much in need of a new host. And I found just about the best I could. What really impressed me, was not only were the prices very very good, but the support was fabulous. Someone patiently put up with many pre sales questions. And they were just as good after I had begun hosting with them. I can't believe they were so helpful in ironing out a problem I had as part of switching my site over to its new home. Unlike other hosts that I have talked to, they don't get put off by you asking lots of questions. I had some others get quite narky at me, do you want bussiness or not? ScarabWeb does! Looking for a GOOD host, got a tight budget, then ScarabWeb is the one for you! I absolutely love scarabweb and recommend it to everyone I know! The hosting packages are great and filled with goodies, the prices are extremely affordable and the customer service reps are friendly, professional and quick to reply if you ever need help. I plan on renewing my domain and hosting packages with them year after year. In my opinion, they are the BEST on the net. Thanks so much scarabweb! 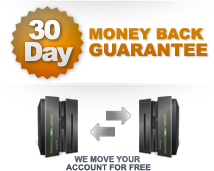 ScarabWeb offers great hosting packages at an excellent price. Everytime I email support I get a quick reply. I have only had down time once and it was resolved very quickly. Excellent and reliable company!